Home » Blog » Patient Resources » Uncategorised » What Is The Child Dental Benefits Schedule? Good oral health is important for your child’s overall health, so be sure to schedule regular dental check-ups from an early age. The CDBS is a scheme that is run by Medicare and is designed to provide a range of dental services to children. It’s aimed at families that are receiving other benefits, like family tax benefit A payments and parenting payments. At Gold Coast Studio, we bulk bill for the CDBS scheme. What does the CDBS provide? The CDBS provides basic dental services to children between the ages of two and 17 years old. Dental services are capped at $1000 over two consecutive calendar years — the capping period begins when a child or teenager gets their first eligible dental service. The CDBS includes a wide range of dental services, including dental examinations, x-rays, teeth cleaning, fissure sealing, fillings, root canals, extractions, and partial dentures. Please note that the CDBS does not cover dental work that is performed for cosmetic purposes. Orthodontic treatments, as well as dental services that are performed in hospital, are not covered. In some cases, payments from the CDBS are made to parents, guardians, or approved care organisations. Eligibility is assessed at the beginning of each calendar year and is valid for the whole year. If your child only becomes eligible later in the calendar year, their eligibility will be backdated to begin from 1 January of that calendar year. How does the billing and claiming work? If your child requires dental services, we’ll discuss them with you first and let you know about the costs involved. You’ll have a consent form to complete before any procedures are started. We’ll ensure that the dental service is complete before you are billed. You can then claim your Medicare benefit electronically at our surgery, or directly through the CDBS. 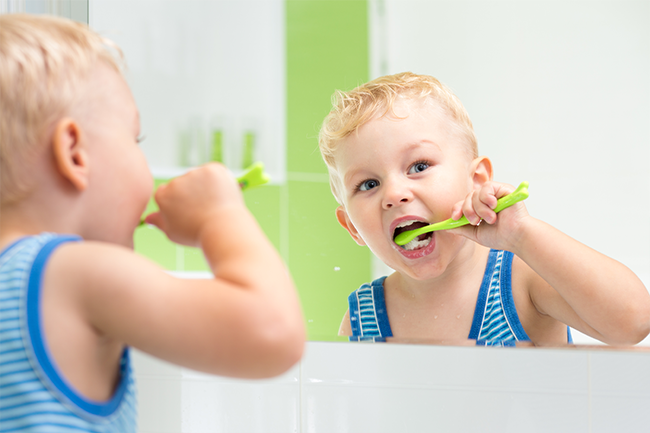 It’s important to teach your child healthy habits from an early age when it comes to oral care. It’s a good idea to set a good example for your child, and to teach them some healthy habits, like brushing twice a day, and flossing daily to remove food debris and plaque from between the teeth and under the gum line. A balanced diet helps to protect teeth from decay — try to limit your child’s consumption of sugary snacks and drinks as much as possible. In terms of brushing technique, show your child how to brush gently and how to angle the brush so that they clean the outer surface of the teeth as well as the chewing surface of the teeth, and the outer gum line. You can start to floss for your child from around the age of four and teach them to do it themselves from about the age of eight years old. Do you have a question about the CDBS? Contact our friendly team here. Ready to schedule a dental check-up for your child? Make an appointment here.